January is the time for many businesses to undertake appraisals (performance reviews). 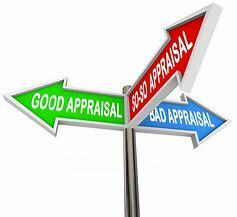 When we talk about appraisals, does it make your heart sing or fill you with dread? We quite often find it’s the latter! The main reason we find is that people are driven by the process and paperwork, and often, form completion and return is how managers are measured. So, no wonder this is people’s experience – is this the case for you? When this is the case, generally the appraisal process has added little value (other than a tick in a box to say the form is complete). However, the appraisal and indeed the whole performance management process is really just about having a good quality conversation. The conversation should focus on the period since the last appraisal and talk around what went well, what was challenging, what has been learnt. The conversation should then focus on the future, setting new objectives and identifying any support and development the individual may need to help them to deliver. Also consider career aspirations and what steps can be taken to support career growth and succession planning. Now I am sure you will agree, that’s a lot of talking, but wow what a great conversation to have. Even better, if you are having monthly 1:1s with your team, then this conversation is more of a summary and a celebration of key areas and a lot easily than trying to recall everything from the last year! Once the conversation has taken place, it makes sense to capture the key points, after all, we struggle to recall information after a few months, that’s a fact. This is where the main part of the paperwork comes in, capturing the key points, objectives and development plans. So, if your appraisals are too focused on the paperwork, this year why not switch it around so the conversation drives the process. You will gain so much more value, and highly likely you will enjoy the experience. If you think your appraisal process needs a rethink or maybe your managers need some support in having good quality conversations, why not get in touch to see how we can help. Click here on our site to find how we can support your business.